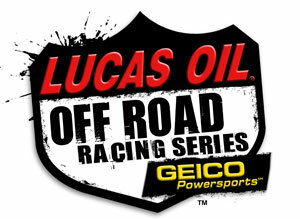 Lucas Oil Off Road Racing returns to Firebird International Raceway just outside of Phoenix AZ. Racing enthusiast have identified the newest short course track as the fan favorite and the surrounding region is blazing with hype about the series starting and ending the 2011 season at Firebird’s very exciting and unique track. Round 1 is sure to set things off in a big way. Race fans are encouraged to join in the festivities with the official pre race party going down Wednesday March 16th. Top racers of the Lucas Oil Off Road Racing Series will greet the fans at Majerles Sports Grill Chandler with vehicle displays, autograph signings and a live from the scene broadcast of the Lucas Oil Totally Off Road Radio Show. The fun happens at 6-8pm with delicious food and refreshing drink specials. Majerles Sports Grill is 7 miles from the race track and 12 minutes down the road to the Chandler Fashion Center. Majerles Sports Grill will be presenting Deviant Films latest production “Changing Course” featuring the action and stars of the Lucas Oil Off Road Racing Series. The race weekend will have additional on site media including SuperLite Live on Justin.tv at http://www.justin.tv/liveondirt and for the first time ever Jason Ellis will be hosting his Sirius Satellite Radio show from the Hart and Huntington Off Road Pit. It will certainly be a thrilling weekend so make sure to pick your tickets online at http://firebird.ticketforce.com/default.asp or tune in for all the action and coverage. $5.00 off general admission coupons are available at surrounding Del Taco, and NAPA locations. Pro Armor Introduces A NEW Product Line!